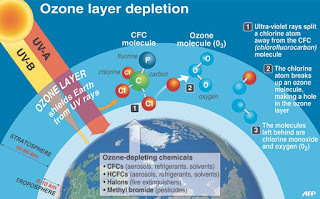 Vienna Convention for the Protection of the Ozone layer was signed on March 22, 1985 and the Montreal Protocol on substances that deplete the Ozone layer was signed on September 16, 1987. India became Party to the Vienna Convention for the Protection of the Ozone Layer on March 18, 1991 and the Montreal Protocol on substances that deplete the Ozone layer on June 19, 1992. The UN General Assembly on January 23, 1995 adopted a resolution 49/114, which proclaims September 16 as the International Day for the preservation of the Ozone layer, to commemorate the signing of the Montreal Protocol on substances that deplete the Ozone Layer, which was signed on September 16, 1987. Since 1995, this day is celebrated every year as the International Day for the preservation of the Ozone layer and commemorates the date of signing of the Montreal Protocol. Year 2015 marks the 30th anniversary of the Vienna Convention for the protection of the Ozone layer, an important milestone for the protection of the Ozone layer. The 30th anniversary of the Vienna Convention and the 21st International Day for the preservation of the Ozone layer are being celebrated by India on September 16, 2015. 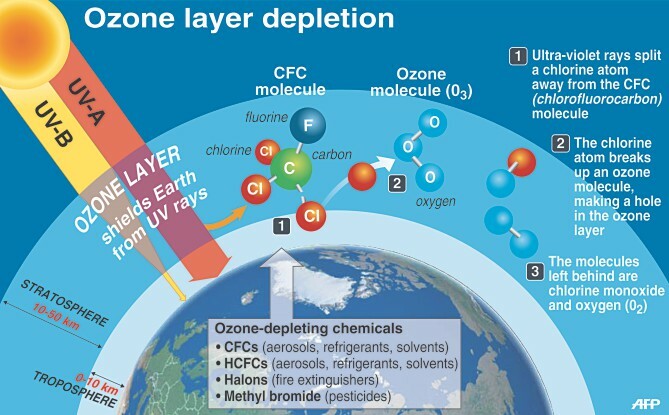 The Montreal Protocol on substances that deplete the Ozone layer has been recognized as the most successful international environment treaty in history. Another testimony to its remarkable accomplishments, the Montreal Protocol has received universal ratification; all countries in the world have now ratified this landmark agreement. This brings together the global community to protect the Ozone layer. The Montreal Protocol, which has been in operation for twenty eight years had an extraordinary international cooperation and has led to a complete phase-out of production and consumption of several ODSs. As of January 1, 2015 the production and consumption of key ODSs like CFCs, CTC halons, Methyl Chloroform and Methyl Bromide have already been phased-out globally. This has not only protected the stratospheric Ozone layer, but it has also immensely benefitted the climate system. The ODSs are also potent Green House Gases (GHGs) and these gases were not included in Kyoto basket of gases for emission controls, as these are already being phased out under ambit of the Montreal Protocol. As per expert estimates, GHG emissions have been reduced by more than 11 Giga tonnes CO2 equivalent per year through the ODS phase-out activities of the Montreal Protocol. India, being a Party to the Vienna Convention for the Protection of the Ozone Layer and the Montreal Protocol on substances that deplete the Ozone Layer, have been sharing the global concern for protecting the Ozone layer and phasing out of the ODSs. These substances are used in a number of applications, including industrial and pharmaceutical aerosols, refrigeration and air-conditioning equipments, foam manufacturing, fire extinguishing equipment, metal-cleaning, garment cleaning, soil fumigation, quarantine and pre-shipment applications etc. The Ozone Depleting Substances (Regulation and Control) Rules, 2000, have been put in place to control production, consumption, export, import and trade with the non-Parties to the Montreal Protocol. These Rules are being enforced under the Environment (Protection) Act, 1986 with effect from 19th July, 2000. 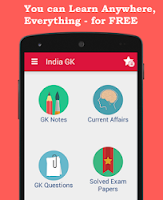 These Rules have been further amended to align with the accelerated phase-out of HCFCs and the Ozone Depleting Substances (Regulation and Control) Amendment Rules, 2014 has been published in the Gazette of India in April, 2014.